Do you have dreams of getting into the exciting world of Advertising? Always wondered what it would be like to be an Art Director, Graphic Designer or a Copywriter? Or perhaps you want to know exactly what it means to be an Account Executive, Strategic Planner or a Media Planner? Find out more about these and other exciting careers in Advertising at the AAA School of Advertising’s FREE career workshop on 20th May 2014 from 3pm until 6pm. For scholars with a flair for design, or who are good with words, or who think a little differently or who are simply unsure of what they want to study, the workshop will provide invaluable insights into various Advertising careers and the satisfaction you can achieve when following a career in advertising. If you are in Matric and not sure what to study in 2015, you should attend. Why is AAA hosting career workshops? At the AAA, we firmly agree with the wisdom of Confucius: “Choose a job you love, and you will never have to work a day in your life.” The AAA is a career focused private tertiary institution. We call it the Birthplace of Brilliant. We are owned by the professional body of the advertising industry (Association for Communication and Advertising), so we have the inside track on what you need when you get out there into the real world. Armed with this knowledge, we prepare you for a real job with real projects and real experiences at real agencies. Our lecturers have a passion for education with extensive knowledge and experience in the advertising industry. 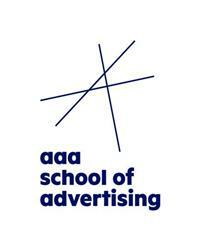 At our workshop you will find out more about the key disciplines of advertising: Marketing, Creative and Copywriting.